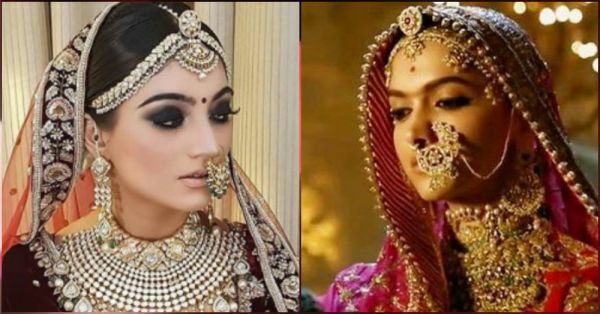 Forget Padmavati, This Bride's *Stunning* Wedding Jewellery Will Leave You Spellbound! 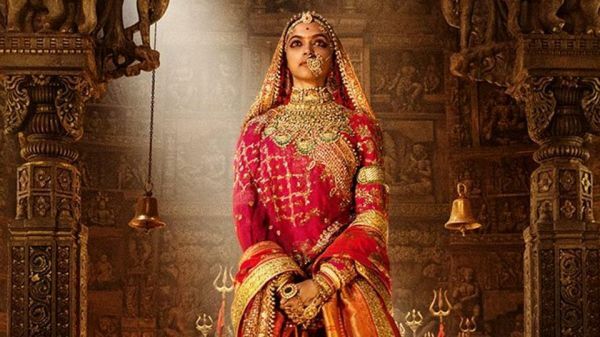 Since inception, Sanjay Leela Bhansali's multi-crore project Padmavat has been in the news for more reasons than one. And after many controversies, Bhansali's magnum opus will finally hit the screens on the 25th January. We're definitely excited about it. The brilliant cinematography along with the stunning costume design is worth applauding! The elaborate traditional Rajputana style jewellery and colourful lehengas adorned by Deepika have accumulated a lot of appreciation while also inspiring many young ladies. We are not kidding, meet our new bride Shreya, who donned Padmavati inspired jewellery on her big day and looked every bit of a royal princess. There is something special about Rajputana necklaces. Shreya's kundan and beads studded neck piece looks just so exquisite. No edits for this modern day "padmavati bride". Precision and clarity in your art work can create any look . 💓mywork . Nothing screams Rajputana royalty like a precious stone-studded borla. Deepika has donned a number of borlas and maathapattis in the movie. Shreya's pretty piece is similar to Deepika's and we sure can’t take our eyes off it! The edgy design of Shreya's haathphools is just as beautiful as Deepika's! 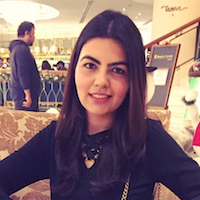 Having said enough about her heritage jewellery, Shreya's make-up is also on fleek. It was make-up artist Parul Duggal who created this princess look for her. While it's hard to match up to queen Padmavati, bride Shreya's royal bridal look sure did leave us spellbound. Let us know what you think about her royal avatar!